Asian Americans are the fastest-growing racial population, yet they have one of the most dismal voter turnout rates at only 47% (compared to 66% for black voters and 64% for non-Hispanic white voters). The Asian American vote has the potential to spark change; it’s been shown that Asian Americans make up the winning margin in many state districts. As New York gears up for an important series of state elections this year, now is the time for AAPIs to step into their power and make their voices heard. Join TAP-NY and Slant’d for a night of inspiration and activation featuring a Q&A with NYS Assemblywoman Yuh-Line Niou and a hands-on brainstorm to figure out how together, we can advance AAPI issues and move the needle for Asian American representation in government. Have a question to ask Assemblywoman Niou or a topic you want discussed? Email [email protected]! 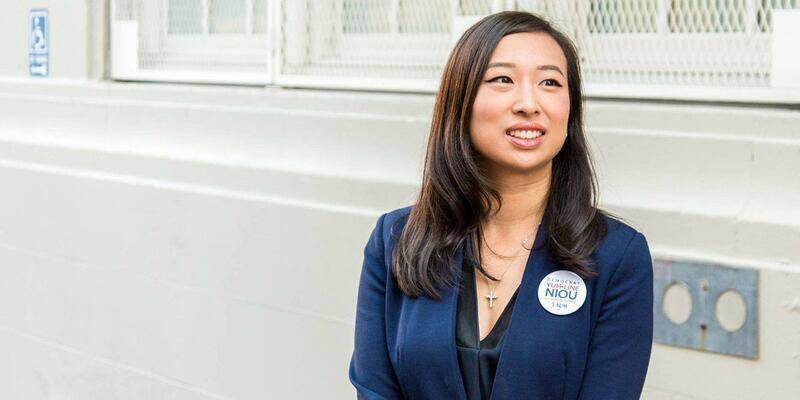 As Assemblymember of the 65th district, Yuh-Line Niou represents the lower Manhattan neighborhoods of the Financial District, Battery Park City, Chinatown, and the Lower East Side. Learn more about her platforms and follow her at @yuhline_niou. TAP-NY is a volunteer-run non-profit that fosters the Taiwanese American community in the NYC area. As the largest Taiwanese-American professional organization in the area, TAP-NY provides resources, programs, and events to inspire, connect, and empower professionals to become community-oriented leaders.